April Fool's Day: Top 10 car pranks to play this year! New Delhi: The First of April is always celebrated with much excitement. For a lot of us, with the financial year ending and us having to put in long and strenuous hours at work in March, April comes as a relief. To celebrate this day, we play entertaining pranks on our loved ones, The first association of foolishness with this particular month, dates back to The Canterbury Tales (1392). But the origin of this event is not nearly as important as the fun and playfulness associated with it. Car enthusiasts have their fair share of fun as well. Well, more often than not, they turn out to be the victims as they harbour a deep love for their rides. The sheer possessiveness displayed by them towards their beloved marvels makes them the perfect victim. Here are the top ten fun and harmless pranks which will make your friends and family go haywire. Caution!, As the degree of pranks increases, so will the reaction of the victims. This is one of the simplest pranks you can play on anyone. 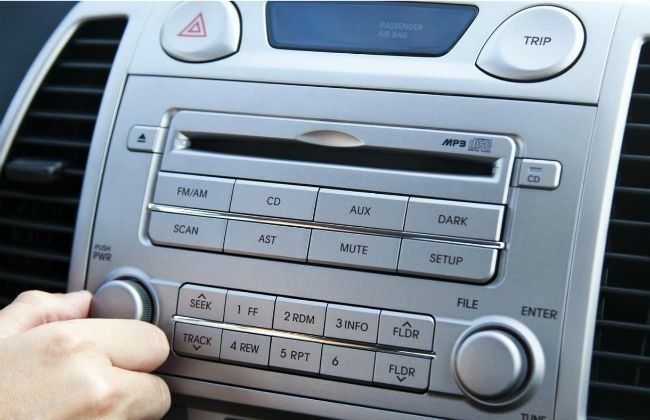 It involves increasing the volume of the music system to its maximum and pausing a loud song in the audio unit. As soon as the driver switches on the ignition, he will be welcomed by a loud blast of overwhelming music. It will be even better if the song is not among their favourites. This is a harmless and fun prank, until and unless you deploy it on somebody with a weak heart. The coffee cup is where the driver takes revenge. It requires sticking a cup on the roof of your car. This can be done using strips of transparent tape. 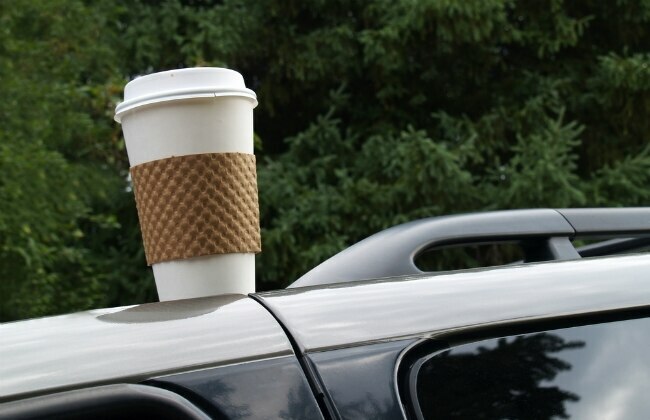 When you pull over at a traffic signal, people will freak out and ask you to remove the coffee cup that’s sitting pretty atop your car; but the joke’s on them! The scratch scribble is a rather easy prank that requires just a sticky note and a pen. 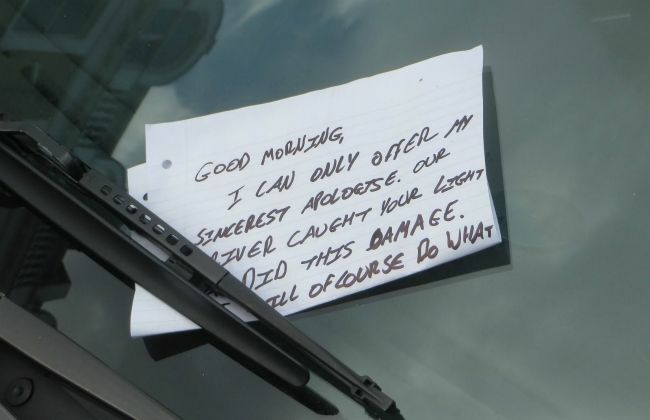 You just need to write an apology for accidentally scratching the car and put it up on any individual's windscreen. The driver will immediately lose his mind and will circle around the car, looking for the scratch. Well, let’s hope he doesn't find one, or you are in deep trouble! As the name suggests, this prank entails swapping the victim's key with one of the same make, but a different model. It might take some effort to find the exact match, but the reaction will be worth it. The victim will desperately try to open the right car with the wrong key, and the end result will be hilarious. 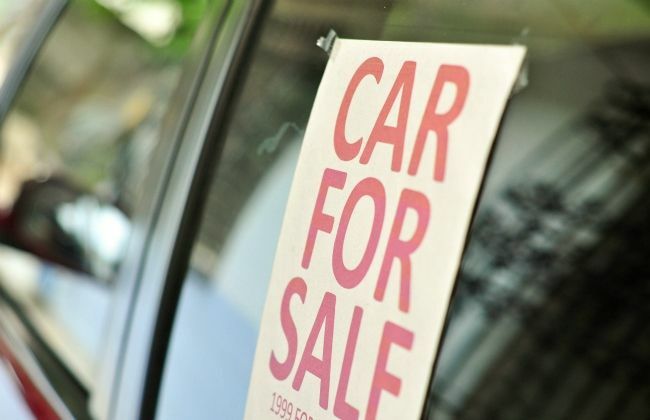 All you need to do is, fabricate a ‘for sale’ sign with all the relevant details. 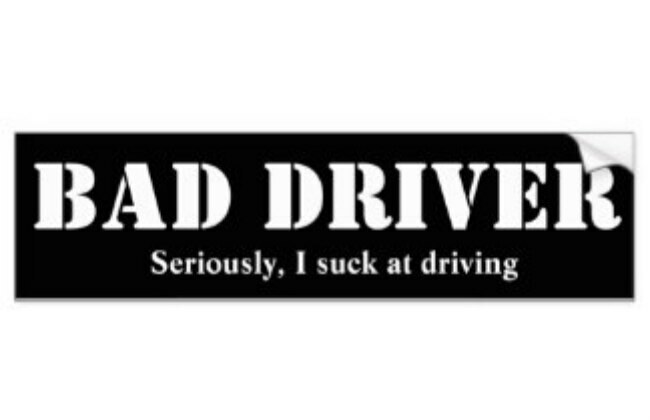 This can be stuck to the windows or the rear windscreen of the car. To add to the merriment, make the expected price as low as possible. This will really make the victim simmer and sputter. This is quite a fun trick. Go wild and fill up the car’s wiper fluid container with coloured water. For your own well being, do make sure the colour is not a permanent one. Also, gently pour some sand on the windscreen to make it look dirty. Now your stage is all set. As soon as the driver deploys the washer fluid, it’s ‘Holi Hai’ all over again! This is an elaborate prank that can be pulled in a number of ways. You could use one or all the tricks given here. Firstly, you could park the victim's car in a different, nearby location, on a daily basis. This will confuse the owner as to what is going on. 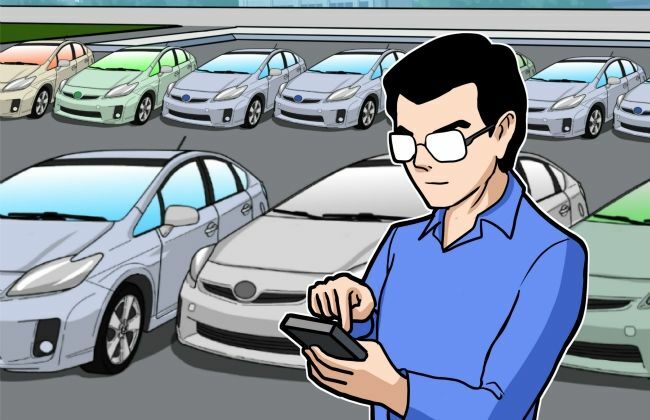 Secondly, you could let the car remain where it is, but change the direction in which it is parked daily. This will surely make the person lose his mind. Thirdly, you could park the car in a distant yet audible spot. 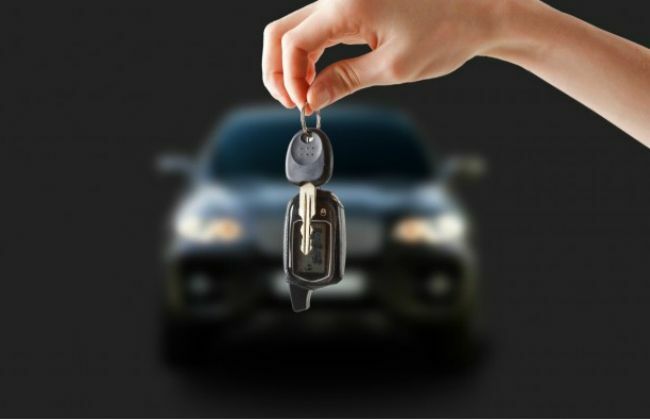 When the victim tries to find the car, he/she won't be able to see it, but will be able to trace it by hearing the sound of the vehicle unlocking. The sustained tension of not knowing where they will find the car the next morning will keep your victim very jumpy. So be sure to be nice to them the rest of the time! This might be slightly political and tricky. You need to find a controversial cause that the victim stands for or against, and get a bumper sticker made. This could be related to any recent social or political issue, but simple enough to grab attention and not trouble. If done right, this is the best prank you can pull off. This prank will freak out the victim. 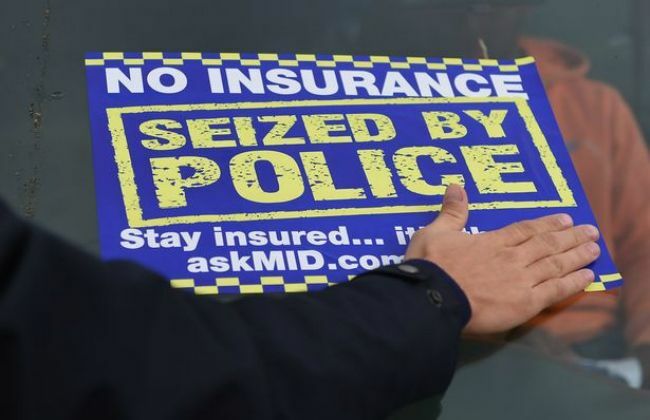 It entails printing a bank notice declaring that the victim's car has been seized. To further terrorise the victim, attach a big, fat lock to the car's wheels. This will leave her puzzled and clueless about what to do. This one is simple, easy, and yet will make the moment worthy of the effort. Just get two or three pads of sticky notes. 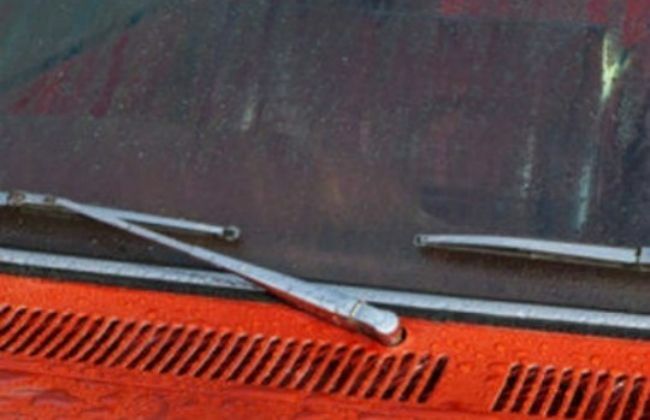 Place them on the windscreen till it is fully covered. You can also take this prank ahead and cover the entire car with sticky notes. This is harmless and a lot of fun. 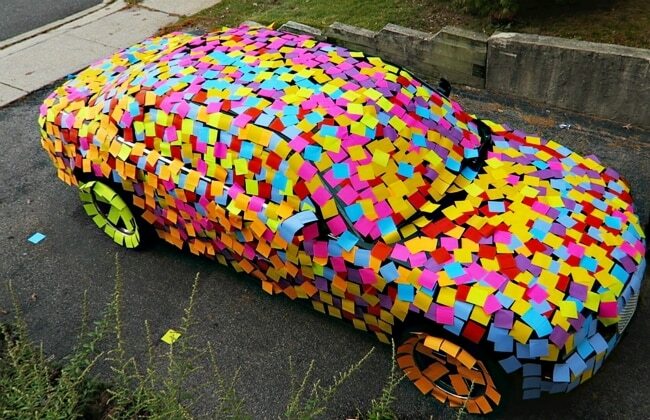 If you have covered the whole car with sticky notes and if your victim is either a good sport or in a tearing hurry, she’ll take to the roads with a thousand colourful sticky notes stuck to her car and dancing in the wind! Now that’s an idea that makes this prank our favourite pick of the lot! Have fun, happy driving and happy pranking!